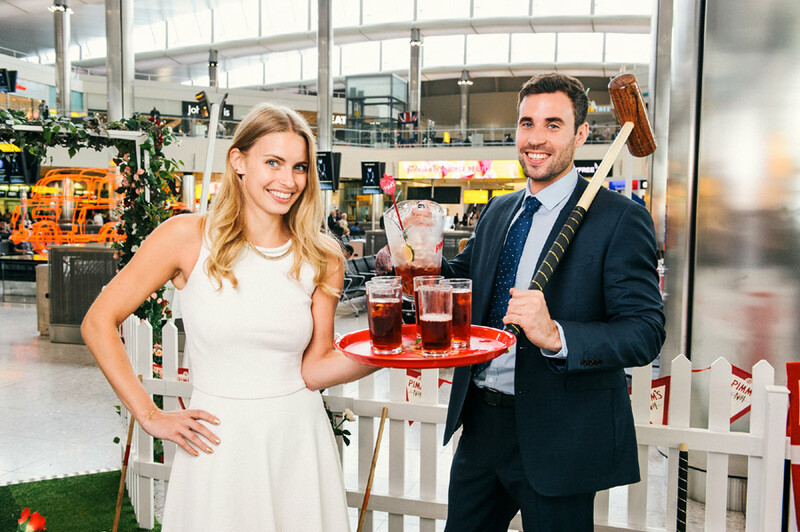 For one week from 9th July 2015, Heathrow Airport is inviting passengers of Terminal 2 to play a game of Crazy Croquet on a unique course, designed to celebrate the best of British with rose bush obstacles, teapot shaped hoops whilst washing it all down with a refreshing glass of Pimm’s. Recent research by Heathrow into the nation’s summer pastimes found that croquet is not getting the interest it deserves with only 2% of Brits currently playing it. Hoping to give the ‘Queen of Games’ a new lease of life by showcasing its appeal on the world-stage, the Crazy Croquet lawn has been created to embrace the sport’s flamboyant heritage, whilst also bringing the 159 year old activity into the 21st century. When asked what was holding those interested back from playing, the lack of understanding (43%) and shortage of public playing spaces (35%), whilst the sociable nature (37%), traditional Pimm’s drinking (30%) and slow pace (40%) were praised as the appealing aspects of the sport. Croquet boasts a long and illustrious history and was first played in Britain over 150 years ago. The pursuit was a highly popular pastime in the Victorian era thanks to gameplay that allowed participants to enjoy a slow paced game in the sun whilst supping on a Pimm’s cup. However, despite being lauded one of the top three quintessentially British sports, alongside Cricket and Tennis, recent research by Heathrow revealed that almost three quarters (74%) of Brits have no interest at all in croquet and one in 20 have never even heard of the sport. 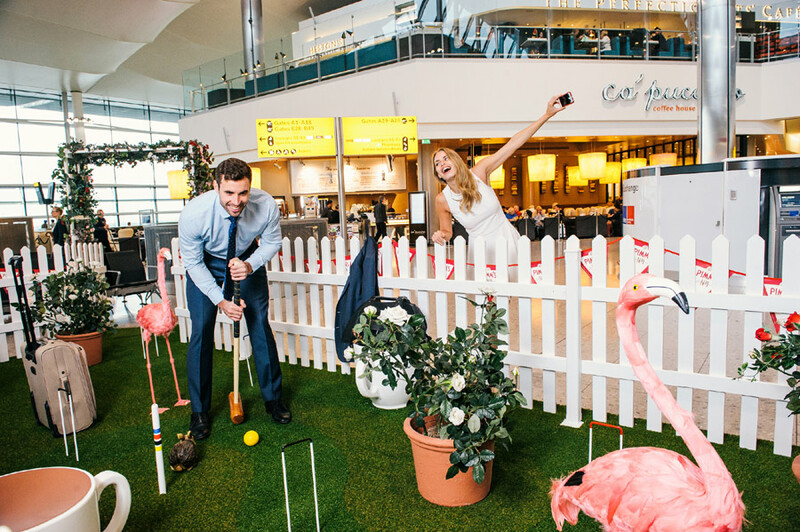 In a bid to revamp the sport and attract a younger audience, Heathrow and Pimm’s have teamed up with London croquet club, Croquet East, to create the spectacular Crazy Croquet course, which will be positioned in Terminal 2 for one week. Rejoicing the quintessential Britishness of croquet and its age-old association with Pimm’s, the course’s design is inspired by the best of British summertime with a nod to the Pimm’s heritage. Hoping to bring the classic sport into the 21st Century, a number of technical innovations, including laser-guided mallets and musical hoops, will be trialled. Players will be invited to learn the ropes in the unique version of the game, which allows passengers to play a round in just 15 minutes.